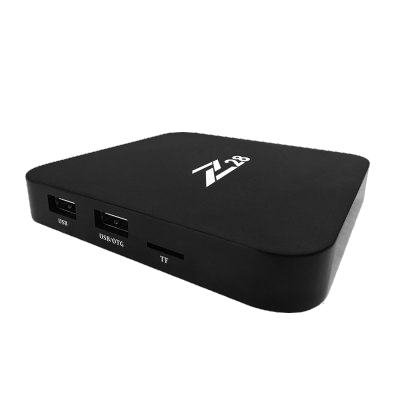 The Z28 Rockchip RK3328 Quad Core Android 7.1 4K TV box, ushers in the new line of TV box with Android 7.1 Nougat operating system. 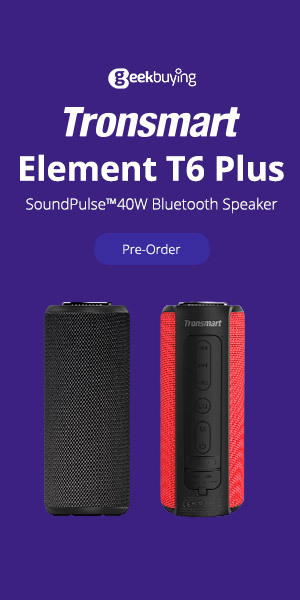 So what can we expect from these new TV boxes, and are they going to be worth out time and money, or are they a good replacement for current Android 6.0 TV boxes? Well I’m not sure for later models, as this box is clearly a budget box that lacks all the bells and whistles of other highend TV boxes released this year. However, it does serve a purpose, and I’ll get into that below. The Z28 uses the new CPU processor. It runs on the Rockchip RK3328 quad core CPU, running up to 1.5GHz. Its 3D graphics and display, is powered by the ARM Mali 400 dual core GPU, running up to 600MHz. It comes with 3GB DDR3 RAM, and 16GB of eMMc flash storage. It has single band 2.4GHz WiFi, and Bluetooth is not supported. It has 5.1 surround sound capability. The Z28, runs on the new Android 7.1 Nougat operating system, and it comes with Kodi media center preinstalled. It can play movies and personal videos in 1080p, 2K and 4K quality with the included H.264, H.265, HEVC, and VP9 decoding. Watch unlimited streams of movies and TV shows from paid subscription services, as well as via free streaming via Kodi, IPTV, APK software etc. 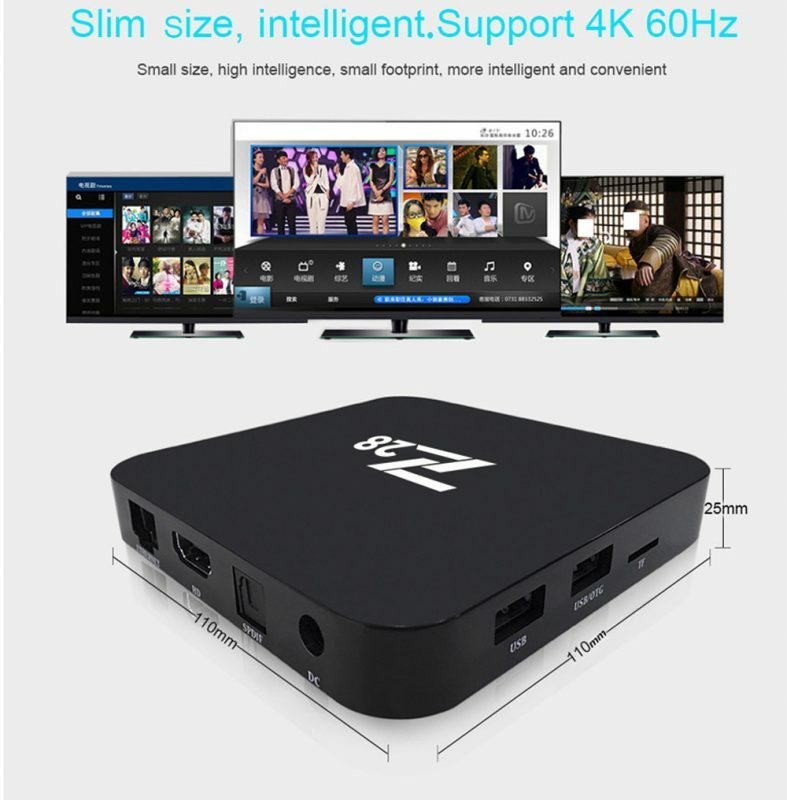 OK, so this box is a budget TV box, it’s not for gaming and not for connecting any Bluetooth device. Than what the heck is this box is for? 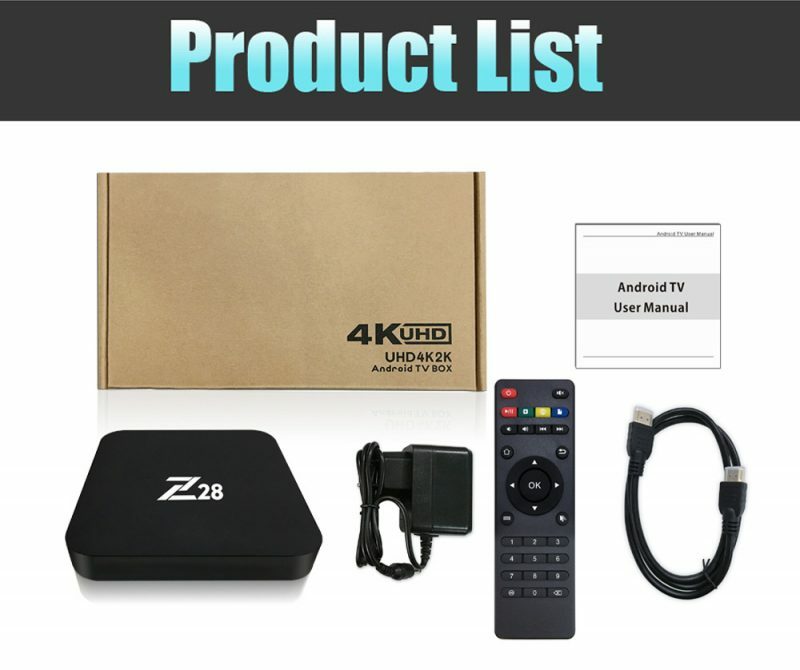 If you don’t care about games, benchmarks, APKs, Miracast, highend hardware, and all you would like to do is stream movies with Kodi and other services, then this box is for you. 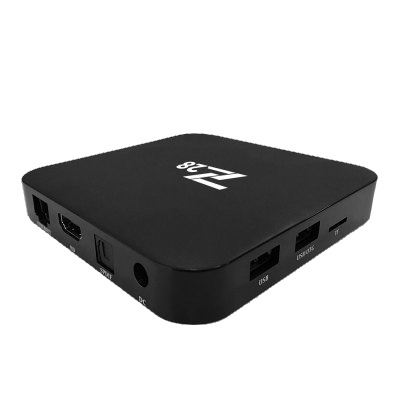 The Z28 Rockchip RK3328 Android 7.1 $K TV Box ran into a brick wall in this review. It started off pretty OK for a cheap box, but it went all wrong when they did not provide root access. Also the RKMC kodi build is locked inside, so what this means is that you cannot uninstall or upgrade Kodi. BRICK WALL! end of my review. What were they thinking? Now I can understand if they implemented DRM and had to block root to protect against people getting into the system to change things. But this box has no DRM, no root, no way to install or upgrade Kodi. On top of that the box has low benchmarks, no navigation or top bar. I couldn’t take anymore. Caution with box. Hi. I have several of these boxes that just stopped working after a few months. They won’t power on. Anybody else had this problem? Actually it happened to me a couple times. It was usually due to overheating or manufacturer defect.